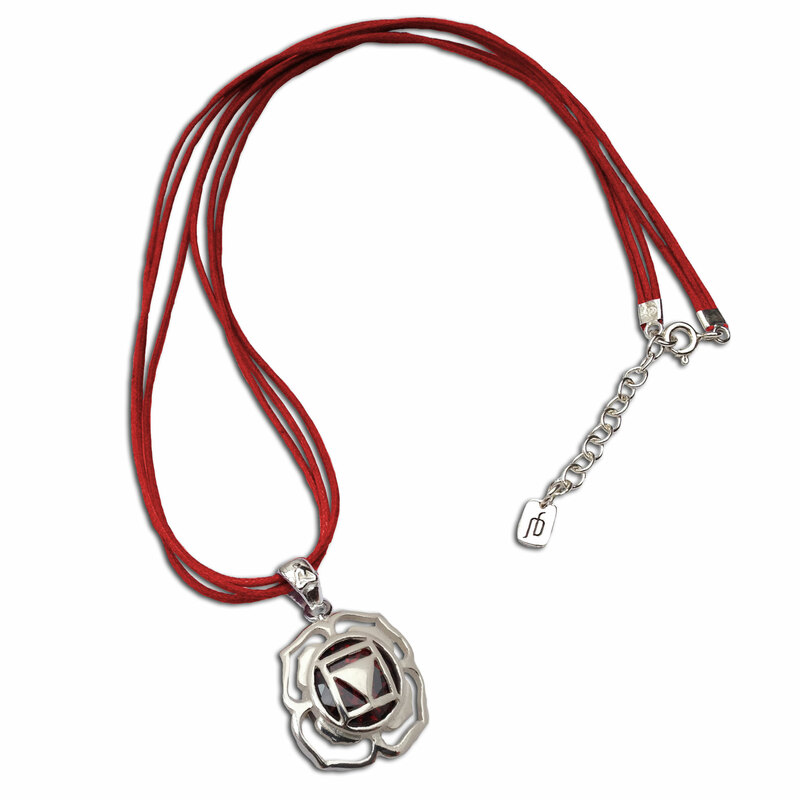 Root Chakra Charm with garnet colored cubic zirconia stone on an adjustable red waxed cotton necklace . 2 cm (3/4 inch) charm on 16-17 inch necklace. Root Chakra (muladhara): Patience. Stability. Strength.